Here is a list of all trails in the Elk Knob State Park Trailhead area. 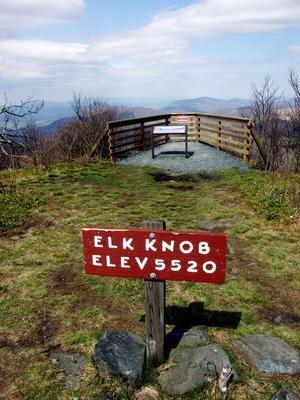 For general information about the Elk Knob State Park trailhead, see the Elk Knob State Park Trailhead page. Begins at the office and connects to the trailhead parking area, and also ties into the Beech Tree Trail for an easy loop. Designed for cross country skiing and hiking. Wake Robin and Giant Trilliums may be seen from the trail in spring.